The Central Bank of Sri Lanka must be careful when building up more foreign reserves than planned if they come at the cost of overall macroeconomic performance, according to the International Monetary Fund (IMF). 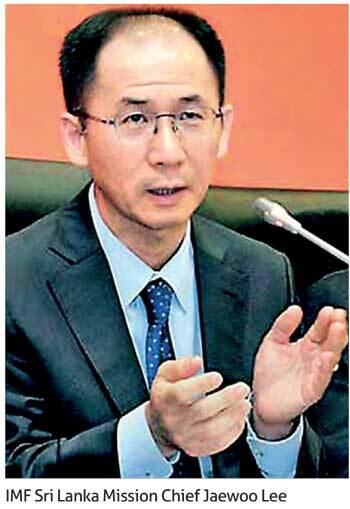 “Building higher reserves shouldn’t be done at all costs,” IMF Sri Lanka Mission Chief Jaewoo Lee, who was in Washington D. C., said during a teleconference with local journalists on a discussion based on the third review of the US$ 1.5 billion 3-year Extended Fund Facility Sri Lanka is participating in. He said that the government and the Central Bank must ensure that policies, which adversely affect other economic aspects, such as imports, are not introduced when building up extra buffers of reserves. The Central Bank last month said that it was confident of building up to US$ 10 billion in gross foreign reserves by the end of this year. The IMF programme with Sri Lanka is projecting the Central Bank to have US$ 8 billion of gross foreign reserves by end-2018. Lee said that the mission would conduct discussions with the Central Bank over its lofty target when the mission next visited Sri Lanka. “If the circumstances allow it, it’s a very welcome development,” he said. However, by end-2017, the country’s gross foreign reserves stood at US$ 7.95 billion. Ratings agency Moody’s, which had projected that increasing the figure above US$ 7.5 billion this year to be a challenge for the Central Bank, was mocked by the regulator since that level was surpassed in 2017 itself. Lee admitted that both the Central Bank and the government have been over performing on most of the monetary policy and fiscal policy targets respectively. The IMF programme has highlighted that low foreign reserves is one of the main reasons for Sri Lanka to remain vulnerable to external shocks. Sri Lanka missed the net foreign reserves target for December 2016, which saw the third tranche of the IMF programme being delayed by two months.